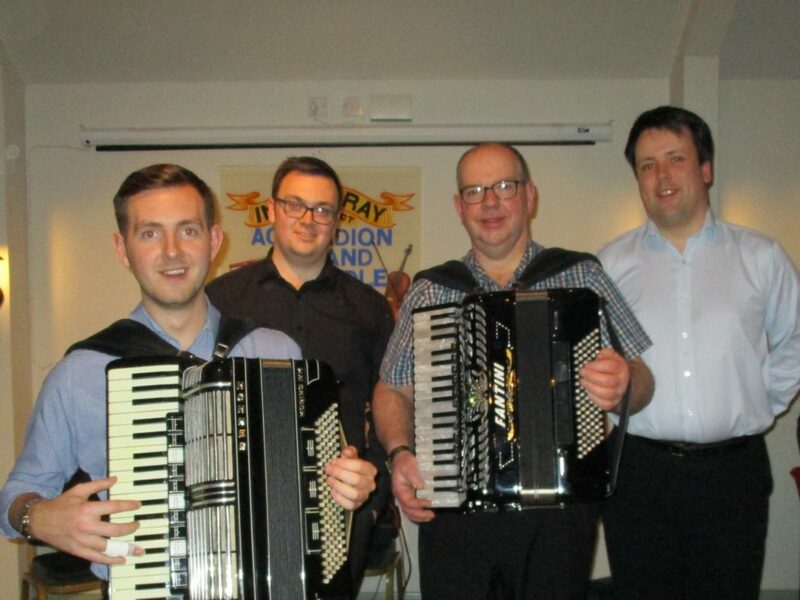 The Inveraray & District Accordion & Fiddle Club got the New Year off to a great start at the Inveraray Inn. Supporting players were – Fyne Folk, with Sally Hall, Alex John MacLeod and Jake MacKay on fiddles and Agnes Liddell on keyboard and were joined by Calum Satchel on fiddle. Also playing were – Sandy Carr on melodeon; Willie Buchanan on accordion, accompanied by Jimmy MacDonald on keyboard; Jake on ‘moothie’ accompanied by Agnes on keyboard. All their varied selections were much enjoyed. Guest artistes were Craig McFadyen and his band. 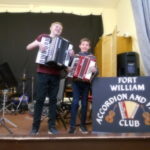 Unfortunately Craig had sustained an injury to his hand, so moved over to play second accordion with Dad, Hector taking on lead accordion. They were joined by Matthew MacLennan on keyboard and Alastair Murray on drums. Both of their spots were filled with a great variety of sets from start to finish, which delighted the audience and all interspersed with some great craic from Hector. 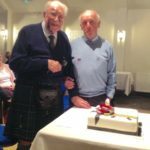 On February 13 the club welcomes Scott Band, chairman of the Blairgowrie Club, and his Trio paying their first visit to Inveraray. 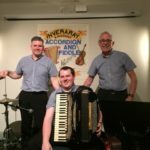 Inveraray and District Accordion and Fiddle Club.